French president-elect Emmanuel Macron had a 10-minute phone conversation with German Chancellor Angela Merkel and told her that he would travel to Berlin "very quickly," a source close to him said on Sunday. Our task is immense, Macron says. Sets sights on a "real and strong majority for change" in parliamentary elections next month. 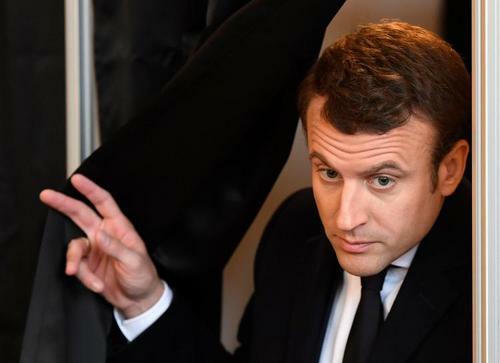 ReutersIt has taken only three years for Emmanuel Macron to rise from being an unknown government adviser to be elected France's youngest head of state since Napoleon. French people 'voted for continuity': Le Pen. "I will serve you with humility and strength," Macron says. "I will serve you with love." ReutersAfter a decade of slow growth, rising unemployment and dwindling competitiveness, France elected a president on Sunday who says he has a plan to pull the country out of its economic malaise. Investors are predicting a rally in equities and bonds after the euro hit its highest since November 9 after Macron's victory. "Emmanuel Macron's victory gives markets a much deserved breather from European politics," says Bill Street, head of investments for EMEA at State Street Global Advisors in London. Markets' focus is now moving away from the diminishing political risks in Europe and towards the question of monetary policy, with the European Central Bank expected to start scaling back its asset-purchase programme in the coming months as inflation and growth pick up. 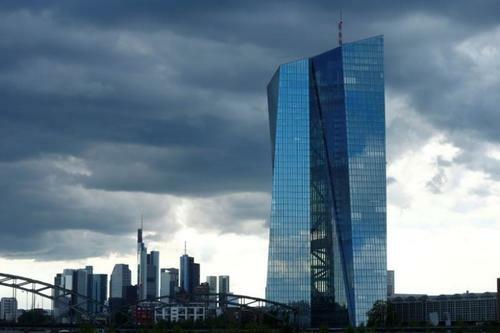 The European Central Bank headquarters in Frankfurt. Market watchers have also been mindful of the continuing risks coming from Italy, and Berenberg chief economist Holger Schmieding thinks this pro-market, liberal result in the French election could help dampen perceived risks of Italy exiting the bloc, with its elections posing another obstacle for financial markets. "Firmer economic growth across much of Europe should help to further defuse the tide of populist anger that has swept Europe as well as the U.S. in recent years. In addition, reform progress in France and Europe, the pro-mainstream precedents set by voters in the Netherlands, France, and - on a small scale - in the German state elections at the Saar and in Schleswig-Holstein, should also serve to keep the Italian political risk in check," says Schmieding. Congratulations to @EmmanuelMacron on your victory in #Presidentielle2017. I look forward to working with you. Victory for Macron, for France, the EU, & the world. 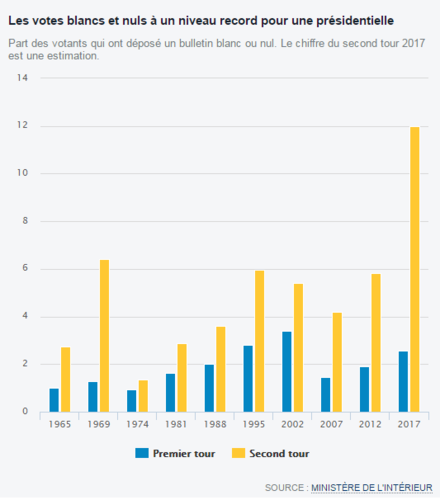 The number of voters spoiling their ballots or submitting empty ballots in protest has reached a record high for the Fifth Republic, at around 12 percent of votes cast, according to Le Monde. This adds to the number of voters opting to stay at home, which is at around 25,3 percent at last count. The level of spoiled and blank votes is twice that in the 2012 elections (see Le Monde's graph from the Interior Ministry's data below). So it's not all rosy for the Macron presidency which will still have to work hard to bolster its legitimacy in the eyes of the French people. The 2017 bar is an estimation. Ipsos data shows more than half of Melenchon voters opted for Macron in the second round, despite Melenchon not officially endorsing a candidate - though he did say voting for Le Pen would be a grave error. On the other hand, just under half of Fillon voters switched to Macron. A full 27 percent of voters for Nicolas Dupont-Aignan, who endorsed Marine Le Pen in the second round, ended up voting for Macron. Mayor of Paris Anne Hidalgo tweets that 90 percent of Paris voted for Macron, with just 10 percent for Le Pen. "Proud of Parisians!" she says. 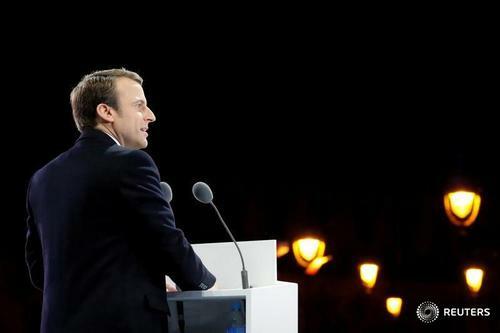 ReutersEuropean leaders hailed the victory of centrist Emmanuel Macron in the French election on Sunday as a vote for European unity and a blow to political forces that had sought to build on last year's Brexit vote to tear apart the European Union. 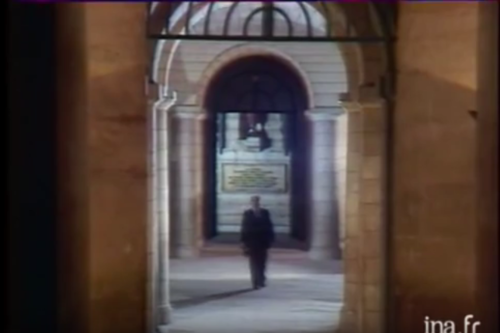 Francois Mitterrand enters the Pantheon ahead of his inauguration as president in 1981, becoming the Fifth Republic's first Socialist president. He walks accompanied by the Ode to Joy. 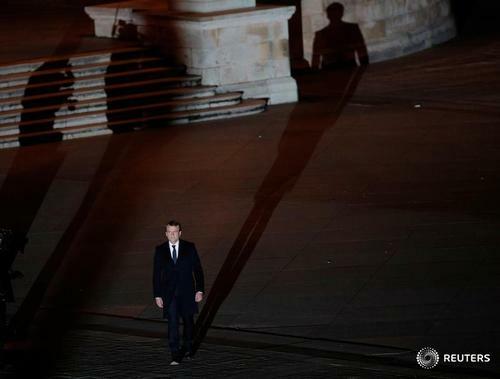 Emmanuel Macron also chooses the Ode to Joy, the European anthem, to accompany him as he walks into the esplanade of the Louvre to address awaiting crowds after his election as President. As we've mentioned earlier, the next hurdle for Macron is the legislative vote, where he needs to get a majority. The latest polls fresh out from Kantar Sofres and Harris Interactive indicate his party and allies would win these next elections. Macron's En Marche party and the centrist Modem party allied to it would together gather 26 percent of the first-round votes on June 11, a Harris Interactive poll found. Kantar Sofres' poll found En Marche/Modem would get 24 percent of the vote, with the Republicains/UDi at 22 percent and the National Front at 21 percent. Jean-Luc Melenchon's France Unbowed would win 15 percent, and the Socialists just nine percent. 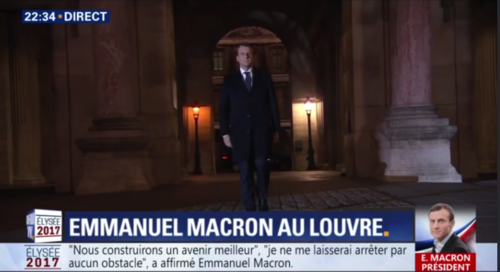 More details on what appears to be a higher than usual level of silent protest embedded in tonight's emphatic victory by independent centrist Emmanuel Macron. About 12.5 percent of votes cast were either blank or spoiled, according to the latest official figures. That's almost twice the previous record in the modern era of 6.42 percent seen in 1969. Some 24.7 percent of voters abstained, the second-highest abstention rate since the unusual 1969 election that followed the resignation of Charles de Gaulle. The figures are based on returns accounting for the votes or abstentions of 44 million out of France's 47 million registered voters. In this latest tally, Macron was elected president with 65.31 percent of valid votes. Reuters UKWith more than 44 million of France's 47 million registered voters accounted for, official Interior Ministry figures on Sunday confirmed independent centrist Emmanuel Macron had been elected president with 65.31 percent of valid votes cast so far. Governor of New York State Andrew Cuomo has tweeted a picture of the Statue of Liberty, an important symbol of French-American links. The statue was built by Gustave Eiffel, also behind the Eiffel Tower, and gifted by France to the United States in 1886. The French meant it as a homage to shared values of freedom and democracy and America's achievements after the Union won the American Civil War and slavery was abolished. 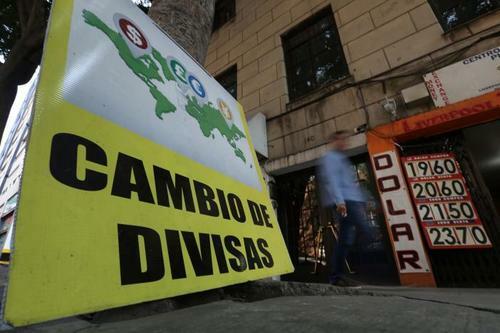 The Mexican currency which fell to a record low after Trump's election has strengthened in international trading tonight, up 0.46 percent against the dollar. Emerging markets' assets generally have recovered after a sharp sell-off on protectionist worries around the new U.S. administration. They continue to be a bellwether of fears around trade and protectionism, and avoiding the anti-globalisation agenda of Le Pen is likely to be a positive for the peso and other trade-dependent emerging market assets. The interior ministry has now counted virtually all the votes and says centrist Emmanuel Macron won the election with 66.06% of valid votes. That's after accounting for the votes or abstentions of 99.99% of France's 47-million-strong electorate. Earlier, official results had pointed to a victory with 65.5% of the valid votes in Sunday's run-off against far-right candidate Marine Le Pen. Definitive results will be published on Monday. In its near-final figures, the interior ministry says 25.38% of the French electorate abstained and a record 11.5% of those who did turn up to vote cast either blank or spoiled ballots. As Macron celebrates his unexpectedly wide margin of victory, Ingrid Melander and Simon Carraud take a closer look at how Marine Le Pen aims to overhaul her far-right party and turn it into the main opposition to France's new centrist leader. That's about it for the live election blog for now after a historic evening that saw Emmanuel Macron become France's youngest leader since Napoleon, after soundly defeating far-right rival Marine Le Pen in a run-off for the French presidency. Macron's schedule on Monday includes a ceremony for the 72nd anniversary of the end of World War II in Europe, which he will attend alongside his former mentor, Socialist President Francois Hollande. He will also resign as president of his En Marche! political movement, less than a year after striking out on his own following a two-year stint as Hollande's economy minister. You can read our final wrapup for the night here. Thank you for following our multimedia coverage throughout the evening. Although Monday is a holiday in France, financial markets are open. We will keep you updated with market reaction and political comment on France's new centrist president and the start of campaigning for parliamentary elections in June. Emmanuel Macron was due to attend a ceremony marking the Western allies' World War Two victory in Europe on Monday as relieved investment markets celebrated his election as French president. Emmanuel Macron was elected French president on Sunday with a business-friendly vision of European integration, defeating Marine Le Pen, a far-right nationalist who threatened to take France out of the European Union. ReutersU.S. 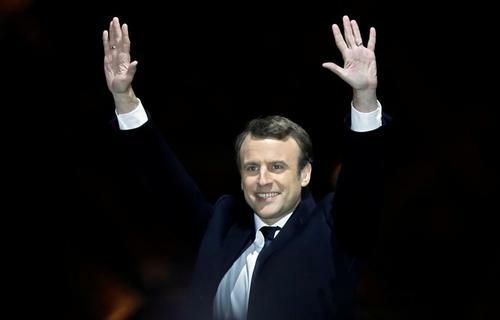 investment bank Citigroup said on Monday that it expected the political party of French president-elect Emmanuel Macron to emerge from June elections with the largest number of seats in the country's lower house of parliament. Chinese President Xi Jinping congratulated Emmanuel Macron on Monday for winning France's presidential election and said China was willing to further ties between the two U.N Security Council permanent members, China's Xinhua news agency reported. Xi said China was willing to work with France to push the close and comprehensive Sino-French strategic partnership to a higher level, according to Xinhua, China's official news agency. Macron was elected on Sunday with a business-friendly vision of European integration, defeating Marine Le Pen, a far-right nationalist who threatened to take France out of the European Union. In victory speech, Macron pledges to serve France with "humility and love"
ReutersMarine Le Pen's niece MarionMarechal-Le Pen, a National Front lawmaker, on Sunday said heraunt's softening of the party position on the euro came late inthe presidential election campaign and was not well understoodby French voters. ReutersJean-Marie Le Pen, founder of the far-right National Front, said on Sunday his daughter Marine's campaign for the French presidency had been undermined by its proposals to quit the euro and the European Union.